News > Monkey Business 3.16.15 Release - upgrade today! Monkey Business 3.16.15 Release - upgrade today! 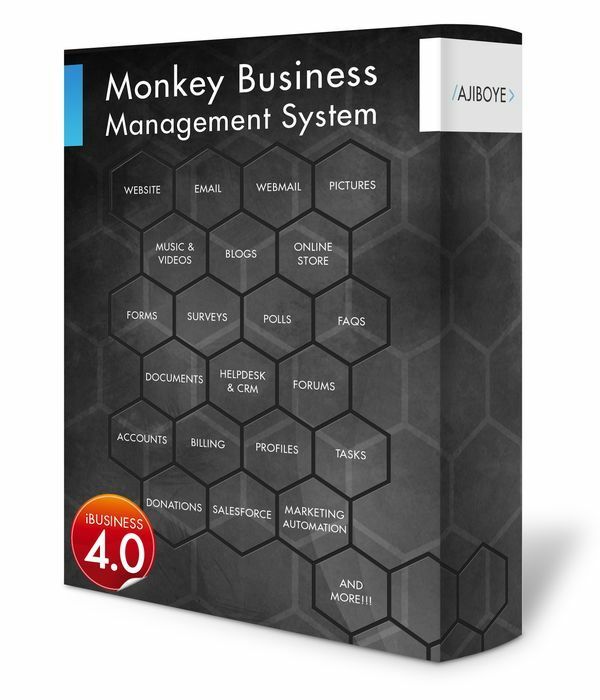 Greenwich, CT — Monday, October 12 2015 — AJIBOYE is pleased to announce the release of Monkey Business 3.16.15. Profile pages now completely styleable with the Style Wizard. Profile pages support optional widescreen cover pictures or inline cover pictures. Addthis social share tools integration with profile pages. Provide a cover image for collections / albums. Provide a cover image for individual media / tracks. New playlist button to match ratings controls. Support for media extended information and links. Addthis social share tools integration with multimedia collection pages. Addthis social share tools integration with multimedia media pages. Fixed issues with embedded content Publish UI's failing to load default settings, or failing the load selected options for the content. Layout issue with Account Type Model admin page fixed. Fixed issue with Renewing Domain Names with Privacy failing to process successfully.